Proud to say that our university students, when home on vacation, go to the lab and help tutor the younger kids. GIVING BACK, they are already! In 2011, an NGO called Global Volunteers worked hand-in-hand with local people & built a library in the community of Senchi Ferrry, Ghana. 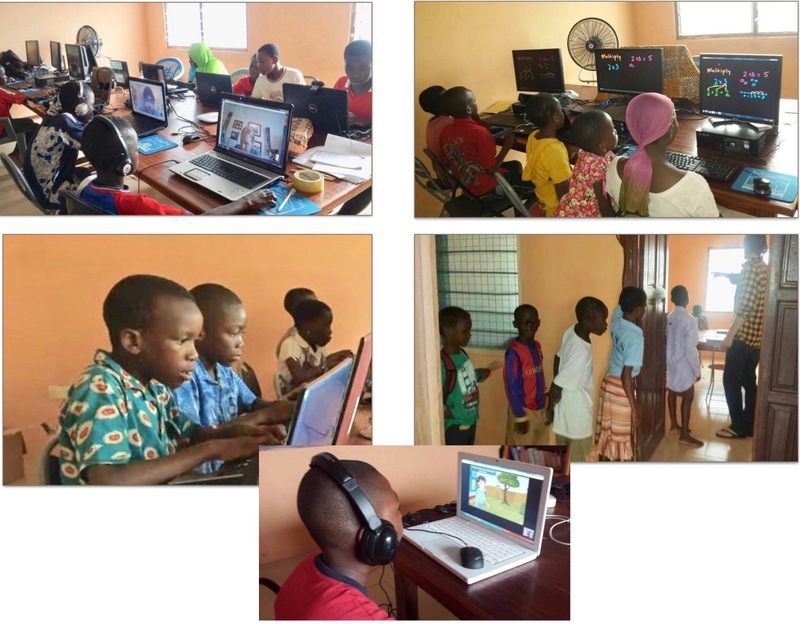 In 2016, the Ghana Scholarship Fund partnered with two NGOs and created a computer lab at the library. We now offer academic tutorials in all subjects for children of all ages. We now have internet access so that students can skype face-to-face with university students in the US who tutor them on their academics.